The Cinema Museum is always keen to work with partners and neighbours in Lambeth and Southwark. 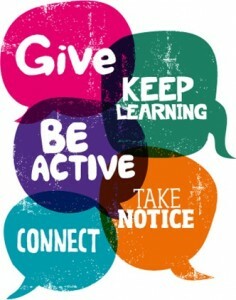 Check out our wide-ranging support package to help local wellbeing initiatives. We are a charity with limited resources. We have been working to improve life for local people for many years. There is less and less funding around for local projects but we want to do more and more – and that presents challenges. In order to meet those challenges we have a plan that will help us be more efficient and effective – and that involves dividing our wellbeing work into 12 separate offers. We are run entirely by volunteers and receive no core funding – we occasionally win bids to deliver wellbeing events – and when there is no funding we cover the costs from our own resources. As such there are limits to the amount that we can do – but we always do our best. If we think we can help we will send you a project briefing pack so that you know how the particular project that you are interested in works.